BMW’s first front-wheel-drive car shares a lot under the skin with the latest Mini hatchback, which is of course itself a front-wheel-drive BMW wearing a different brand. But I’d have struggled to tell the pair had much in common if I hadn’t been told. The new Mini is fidgety, noisy and cramped (despite its recent growth spurt), while the 2-Series Active Tourer is the opposite of those things. It sails along remarkably smoothly, murmuring quietly even at great speed. It also has a thing called space, being a lot bigger than the Mini in every direction, inside and out. Indeed the only Mini carryovers I could actually point to in the 2-Series were the engine – sitting across rather than lengthwise under the bonnet – and the head-up-display unit that rises above the instrument cowl when you prod the starter button. Actually, the Mini and Active Tourer do share one other important quality: both are fun to drive. True, they hit different levels on the entertainment spectrum. The Active Tourer feels surprisingly nimble for such a tall and spacious car, changing direction with the agility of a tennis player. The new Mini, on the other hand, zips about like a tennis ball. Some measure of nimbleness does disappear when the BMW slows down. Over urban potholes your jaw may start to rattle, though the Active Tourer remains a magic carpet compared to the Mini. 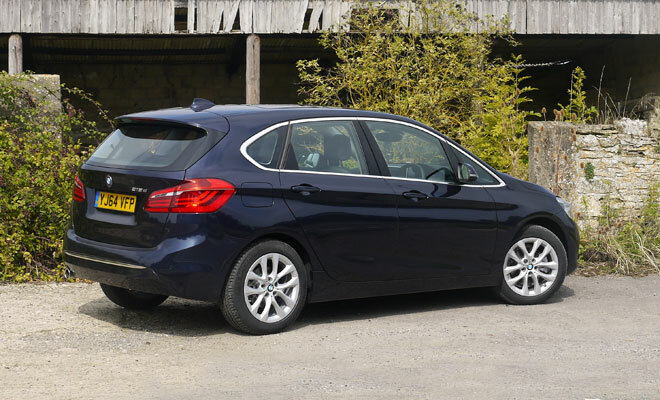 The 2-Series also feels like a better stab at combining comfort and composure than the Volkswagen Golf SV or Mercedes B-Class, which are strikingly similar to the BMW in size, shape and remit, but which tend to wobble and wallow or judder and jiggle, respectively. 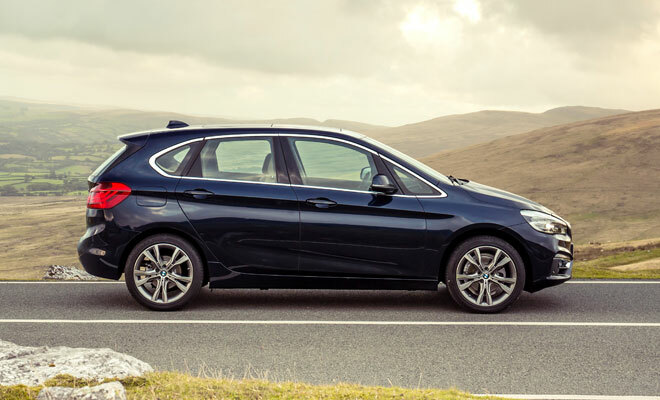 The Active Tourer provides plenty of interior space, despite being only 2cm longer and 4cm wider than a BMW 1-Series hatchback, with slightly less distance between its two axles. 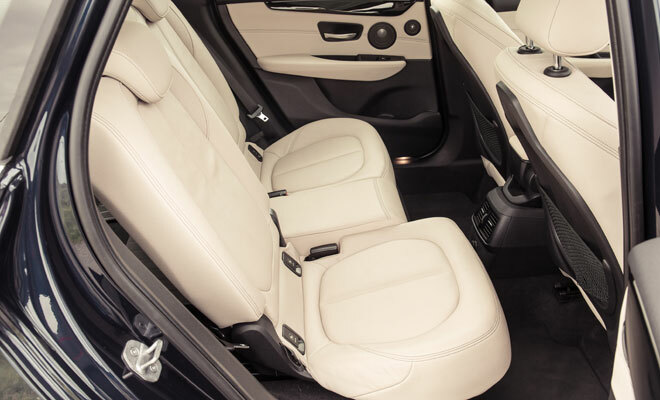 An extra 13cm of height means much greater volume inside and a pleasantly elevated seating position. Roominess is most noticeable in the back, where there’s enough space to fit a tallish human behind another tallish human, without first removing their legs. 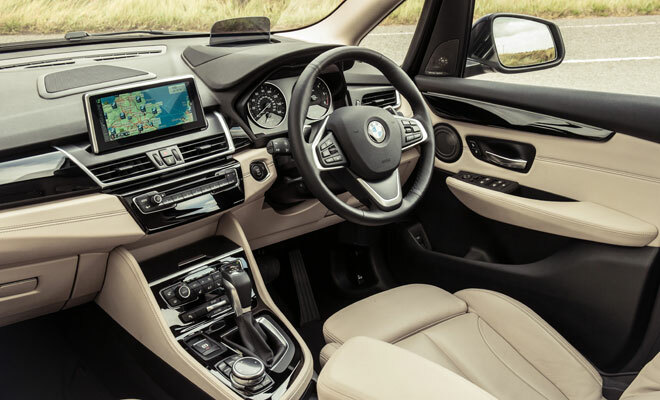 There is just about enough width to seat three abreast, though there is the hump of a centre tunnel in the middle of the floor, there to cater for xDrive 4x4 editions of the 2-Series Active Tourer that will arrive in due course. In the back you can tug a little strap at your hip to adjust the rake of the seat back, or reach under the base to slide the seat back and forward by a few centimetres to trade luggage against legroom. There’s a 60:40 split to the base, while the back is divided twice in 40:20:40 fashion. An optional folding front seat adds further versatility and costs £145. A powered tailgate comes as standard. Accommodation for the driver feels cosy without straying towards claustrophobic, with the relatively deep windows providing a bright interior, even if you throw £150 at black headlining. At the other extreme, £945 buys a panoramic glass roof with a tilt and slide front section for actual air as well as airiness. All-round vision is mostly good, though an extra-chunky pillar between the door glass and front quarterlight may have you bobbing your head like a pigeon as you approach roundabouts. The dashboard bulges out in the centre, bringing the ventilation controls and other buttons into easy reach. The layout is clean and simple and only a little different from other BMWs. There’s an electronic handbrake, for example, which doesn’t seem to auto-release. And the switch that lets you flip the car into Comfort, Sport or Eco Pro driving modes is hiding ahead of the gearstick rather than sitting next to it. 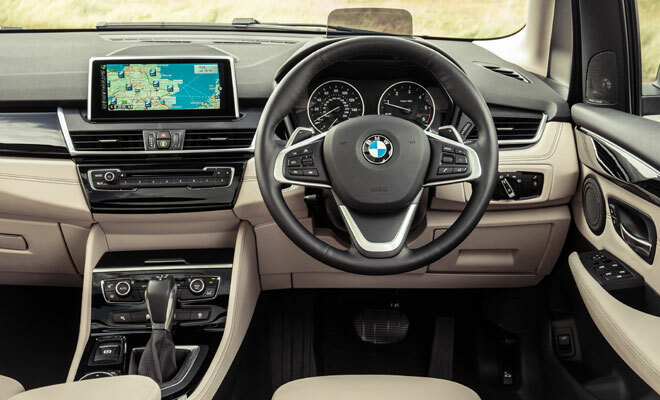 The central screen and its touch, twist and prod controller are familiar from other BMWs, however, which is not a bad thing given that they work very well together. The change in character as your flip from the default Comfort mode into Sport or Eco Pro is not as marked as in more powerful BMWs. The change is most noticeable if you have an automatic gearbox, because the time spent hanging onto a particular gear will change quite dramatically. Softening or tautening of steering weight and throttle response are mild in comparison. 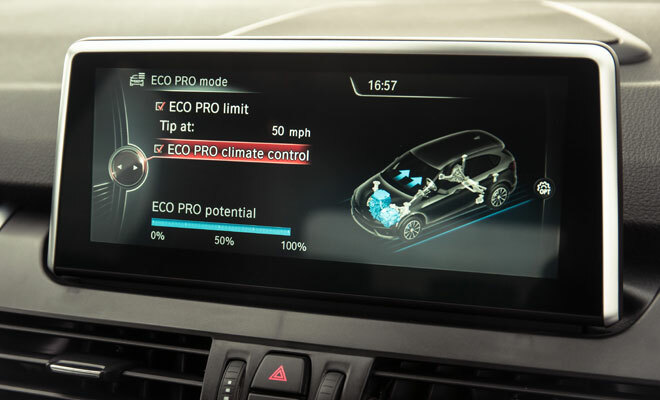 Eco Pro proves to be a perfectly useable mode, leaving sufficient perkiness for motorway overtaking but quickly settling to minimal effort at steady speeds. Encouragingly, the instrument panel tells you how many extra miles of range you’ve gained as a result of selecting the most economical setting. Engine stop-start comes as standard – it can be switched off – and the instruments dutifully suggest suitable moments for changing gear, assuming you have a manual gearbox. I tested two versions of the new BMW – a diesel-powered 218d automatic in Luxury trim and a petrol-propelled 218i manual in Sport spec. The diesel felt noticeably more silky along a lumpy road, leading me to presume that the Sport edition petrol car must be fitted with bigger wheels and stiffer suspension. Not a bit of it. Both cars sat on 17-inch alloys and came with comfort suspension. So perhaps the difference is down to the extra 90kg in weight, two thirds of which is the diesel engine, the rest the auto transmission, helping to squish the bumps flat. The eight-speed automatic fitted to my diesel test car no doubt contributed to impressions of smoothness. A £1,550 option, it shifts very quickly and neatly and, when combined with premium navigation (another £2,095), it even gears itself up in anticipation of the road ahead. There are also paddles for when you need to prepare the car to overtake. A slightly cheaper automatic is fitted to the petrol-powered 218i, providing only six ratios – the same number provided by the manual gearbox. The 2.0-litre, four-cylinder diesel engine provides 150 horsepower and 330Nm of torque, which will haul the car to 62mph in just 8.9 seconds. CO2 is rated at 109g/km and combined cycle economy at 68.9mpg, irrespective of gearbox. The 218i features a three-cylinder, 1.5-litre petrol engine, with peak figures of 136 horsepower and 220Nm of torque, enough to reach 62mph in 9.2 seconds. The CO2 rating is a reasonable 115g/km, or 119g/km with automatic gears. The corresponding economy figures are 57.6mpg and 55.4mpg. A lower powered 216d diesel will join the range from November, and should dip below 100g/km though final figures have yet to be officially nailed. Assuming you’ve forked out more than two grand for the Navigation Plus package, the car’s head-up display (or HUD) is a very welcome feature. It provides speed and detailed, colourful navigation information via a small semi-transparent screen. The data is eerily focused far beyond the screen itself, meaning you can flick your eyes from the road to the HUD and back again in a trice, without taxing your eye muscles. 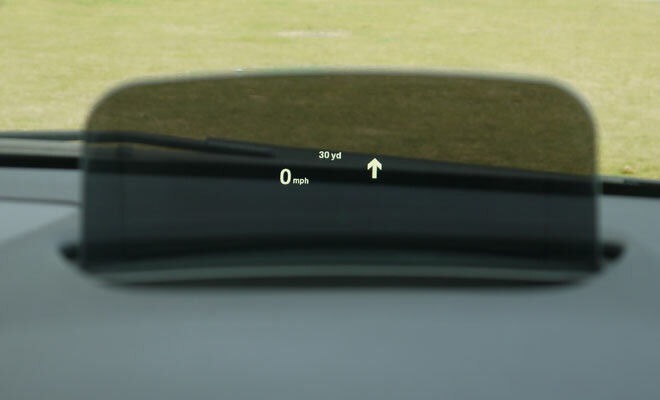 The little pop-up screen is not quite as impressive as the HUD fitted to more expensive BMWs, such as the 4-Series Gran Coupé, where high-contrast images are projected directly onto the windscreen. But it is a lot cheaper. 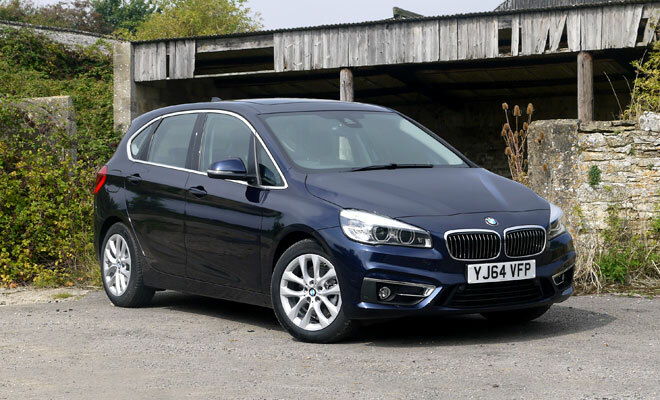 Expense is probably the only real weakness in the 2-Series Active Tourer’s armour. The range currently starts at £22,125 for a 218i manual SE. The 218d automatic in Luxury trim I drove starts at £27,775 and it’s not difficult to add another £10,000 or more once you start ticking a few boxes. But if your pockets run deep, this is a very persuasive and practical car. It may spin the wrong wheels and share its guts with a Mini, but it clearly merits its blue-and-white badge. It’s by far the most space-efficient BMW you can currently buy, which is a very good reason to take note.